In truth, there is nothing quiet nor calm about the morning procession of the Virgen de los Desamparados. Or even sane for that matter. This is one of the craziest events Valencia has to offer, and it’s certainly not for everyone. You might want to keep your distance if you don’t enjoy being crushed to half-to-death in a frenzied crowd. Or getting kicked repeatedly in the face. At 10:30 in the morning, the holy icon of Our Lady is carried out of the basilica in which she normally resides. 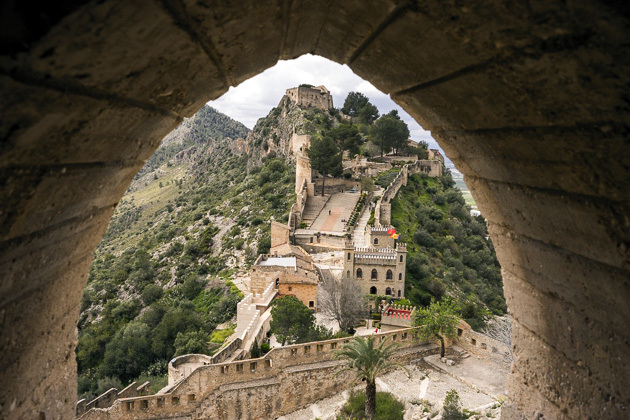 She’s taken around the Plaza de la Virgen, and then through the doors of the nearby cathedral. But first, she has to fight through a crowd of psychotic maniacs who will go to any length to touch her. “Come on, calling these people ‘psychotic’ is a little extreme, don’t you think?” No! I don’t think! Psychotic is a perfectly valid way to describe people who will crowdsurf in order to touch the virgin. I’m not talking, “climbing atop the shoulders of their friends.” I mean, “taking a flying leap from a wall, landing atop elderly ladies and mindlessly kicking anything that’s in the way of their flailing feet, and then breaking down in uncontrollable sobs because it’s all so holy.” That is psychotic! And then there are the parents who will hand their infant baby over to complete strangers, so it can be passed about like a hot potato, until finally someone, maybe six strangers down the line, manages to klonk Baby’s head against the statue… and then eventually return it to Mommy and Daddy, who are probably sobbing by now because Their Child Hath Been So Verily Blessed. That said, watching the madness from a safe perch is stunning. 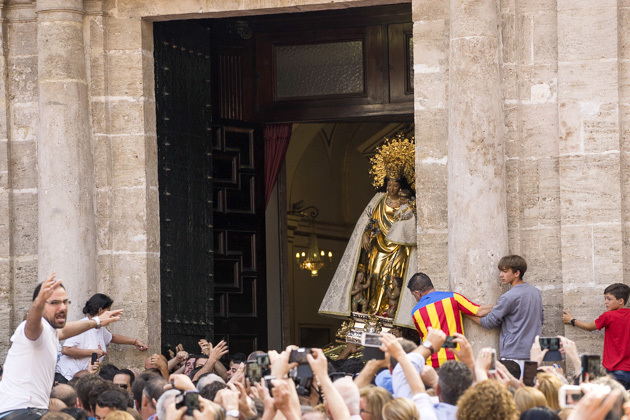 As the virgin makes her way through the narrow passage between the basilica and the cathedral, people standing on their balconies rain flower petals down upon her. With the crying and the flowers, and the wobbly statue always close to being toppled, the whole event is scary and beautiful, and simply surreal. 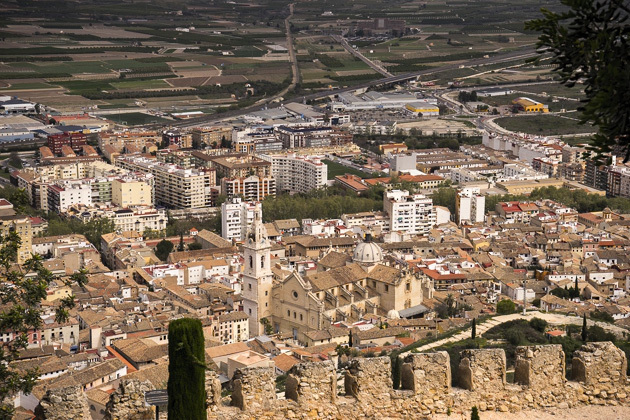 The festivities for the Virgen de los Desamparados actually begin the day before, on Saturday evening, with fireworks in the Turia riverbed at midnight, followed by a huge dance in the Plaza de la Virgen. With hundreds of castanet-clicking couples in traditional costumes swirling about the plaza, this is a sight worth staying up for. You all really know how to celebrate there. Fireworks with everything you do there.We love it!My wife and I got some good laughs from reading this. Thanks!